When visiting London with kids, there is no doubt that there are a wide range of attractions to take them to, but few beat the view from the River Thames and the coolness factor of a see-through floor that the Tower Bridge Exhibition provide. We grabbed our tickets, downloaded the kid-friendly Family Trail App to our phone and set off to explore high above the city streets. 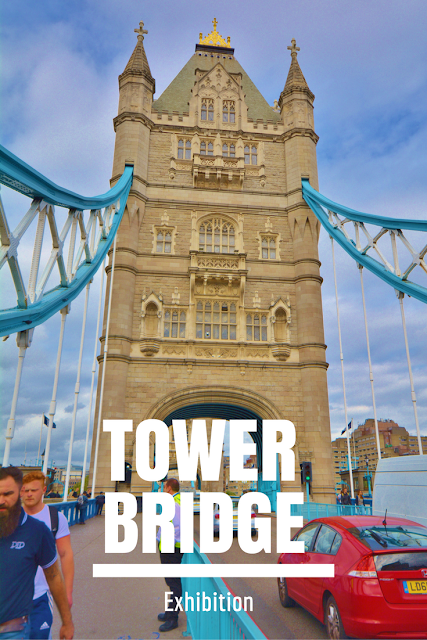 Lines were almost non-existent in the later afternoon for this popular attraction, and we headed straight up in the lift to an exhibition room that shares never before seen footage of the Victorian era of London as well as information on the construction of the bridge itself. After that, we proceeded into the first of two walkways to take in the views 42 meters above the traffic passing below your feet. The glass panels on each side of the walkway are 11 meters long and are capable of holding the weight of an elephant as well as two London Black Taxis, so gaze down at the red double-decker buses, passing boats and the River Thames with confidence. The Family Trail App was a great addition to our visit, especially with my youngest two children. Jayden and Jase appreciated being able to hunt for each location, check off the mark and play the interactive games while unveiling new "sounds" and tidbits about the bridge and city. When visiting the Tower Bridge Exhibition, be sure to read the various placards and look up for a selfie while standing on the glass panels. 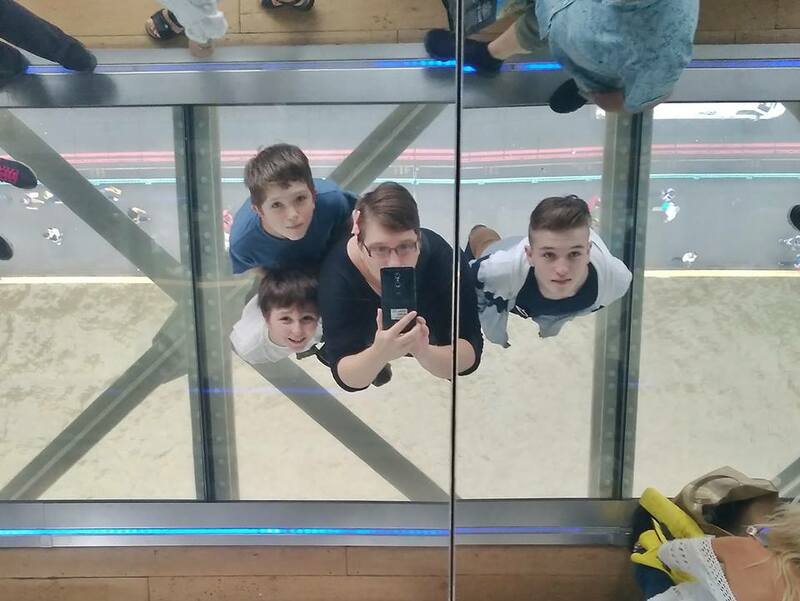 The mirror above you will allow you to take a selfie of yourself or your group. If you're lucky, you can time your visit to the Exhibition with a daily Bridge Lift, where the bridge separates to allow river traffic through. Check the website for the exact Bridge Lift times each day. Try to arrive 10 minutes early or so, as bridge lifts can often be popular events and it can be difficult to see past the crowds. After riding the lift down to the street entrance again, you can walk a short distance down the bridge to the Engine Room displays and gift shop. Here, you can explore all of the mechanics that go into making this 120 year old bridge run in tip top shape. Kids will especially enjoy the interactive exhibits at the end. The Tower Bridge Exhibition is open daily 10am-5:30pm April-September and 9:30am-5:00pm October- March. Tickets are 9 pounds for adults and 3.90 pounds for children. So glad we could bring back a few good memories Sally! We are hoping to head to Chinatown today on our way to see a show on London's West End.